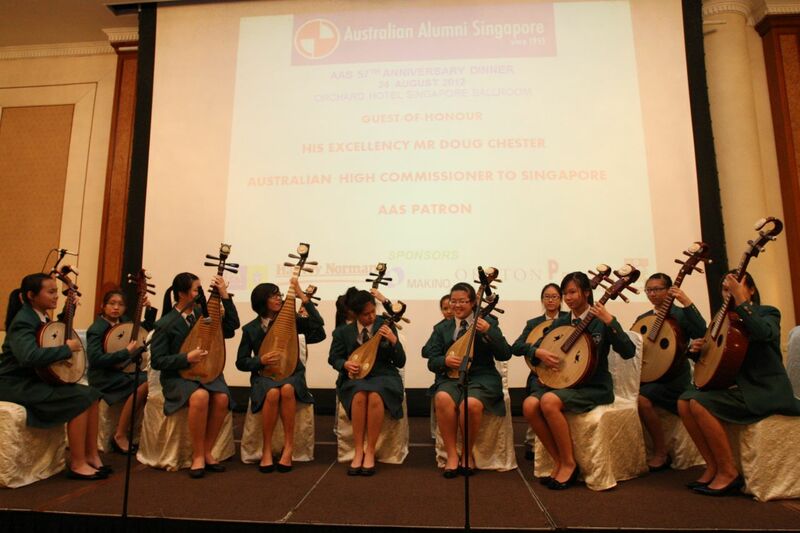 The Australian Alumni Singapore (AAS) celebrated her 57th Anniversary Dinner recently at Orchard Hotel on the 24th August 2012. The AAS 57th Anniversary Dinner was a great time my alumni mata, the University of Queensland Association of Singapore (UQAAS) to meet with new and old friends from the University of Queensland community. Besides, it was a great networking and catching up with fellow alumnus from fellow graduates from other universities from Australia, through AAS events and activities organised for their members. This was my 3rd AAS Anniversary Dinner and I had been covering them for the past 3 years from 2010 (55th Anniversary) t0 2012 (57th Anniversary). 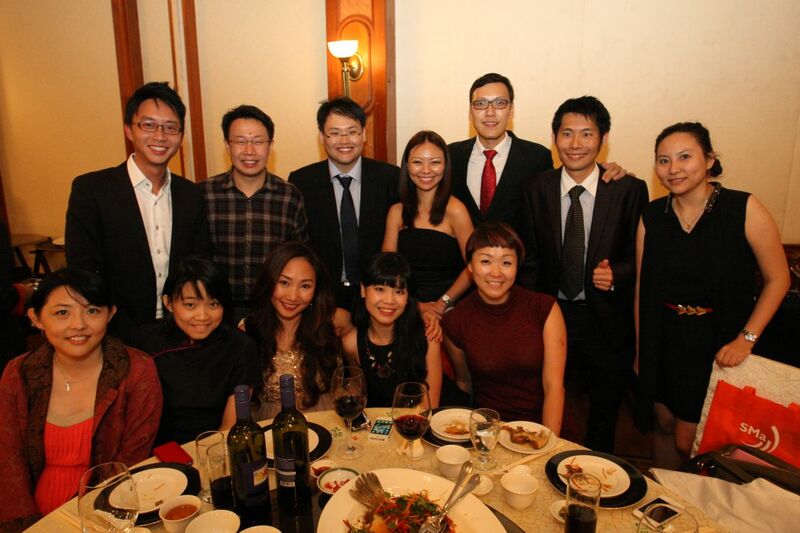 Here’s my write up and photos from the Australian Alumni Singapore 56th Anniversary Dinner. The AAS 57th Anniversary Dinner was graced by the two Guest-of-Honour and VIPs, His Excellency Mr Doug Chester, Australia High Commissioner and Mr Khaw Boon Wan, Minister for National Development, a graduate from one of the universities in Australia. His Excellency Mr Doug Chester had served finished his tour of duty and would be returning back to Australia soon, therefore the 57th AAS Anniversary Dinner was a farewell dinner and gathering for him too! 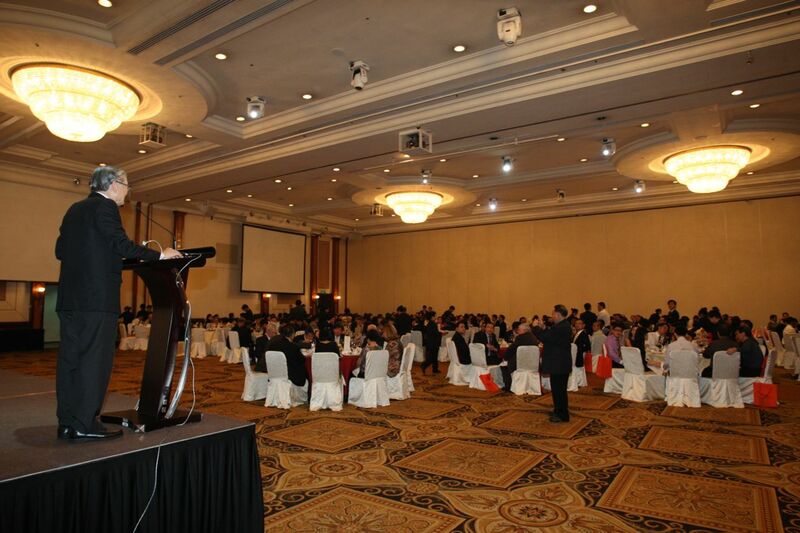 During the dinner, in the company of nice food, speech by His Excellency Mr Doug Chester, we had entertainment, performances and lucky draw too! I was the official photographer for this year’s 57th Anniversary Dinner (and actually covered 55th and 56th Anniversary Dinner too) therefore, I would always gather and round up my alumni mata UQAAS friends to take more fun and group photos too! We had fun when I dropped by their tables, chatted with them and take candid photos! UQAAS had 2 tables at the 57th Anniversary Dinner and that’s a pretty good turnout! We had quite a few fun photos of the UQAAS community! If you are a graduate from one of the universities in Australia, do join and connect with AAS here on Facebook! If you are a University of Queensland graduate, do connect with fellow alumnus of UQ with the UQAAS community here on Facebook – UQ Graduates in Singapore and University of Queensland Alumni Association of Singapore (UQAAS)! Check out our UQAAS events photographs here on my Flickr collection! Happy 40th Birthday to Sentosa !